Ok, so I recently installed AirDroid, and immediately purchased the premium version because I was so excited that I could actually backup my files from my SD card to my PC (WIN 7 pro). However, I have followed all the instructions, enabled all permissions on the phone, let the program through the firewall, downloaded the desktop client, but all to no avail. Backup backs up MAYBE one or two pictures and then just stops. File transfer just says "waiting" and never starts. Although sometimes it starts and then fails to download due to "network issues". I have tried restarting both phone (Galaxy S9 +) and computer. All permissions (including mirror) have been granted, firewall allowing on all network types (home, work, public). I am at a loss. Any suggestions are appreciated. We would like to confirm with you that are you use File management feature like the picture shows? 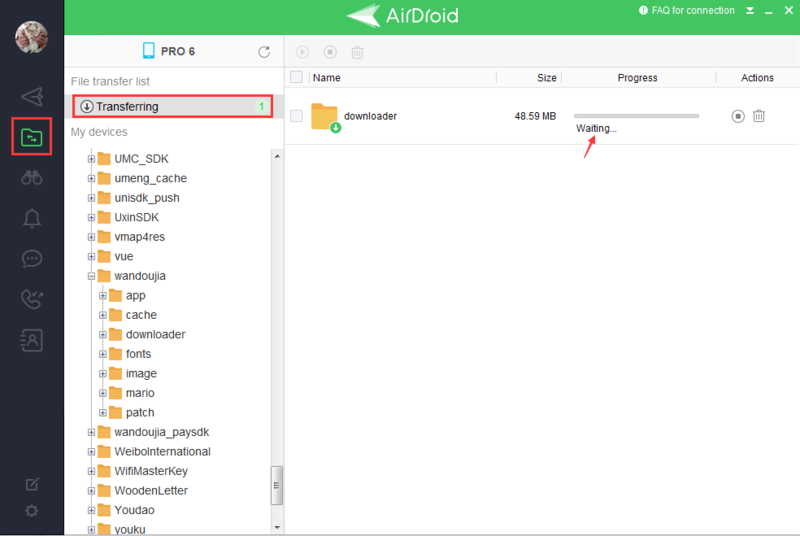 If yes, please make sure that when you download the file from your device, AirDroid is keeping running on your phone because sometimes it will killed by the phone's process. And you can go to Setting > General > Click keep AirDroid running in the background. Please see attached screenshot. I do not even have that option. Because you have choosed ignore battery to keep AirDroid running in the background. I am not sure what you are talking about, since I do not see that option in your screenshot. What do you mean? I am sorry but I don't understand. And also don't I want to keep airdroid running? 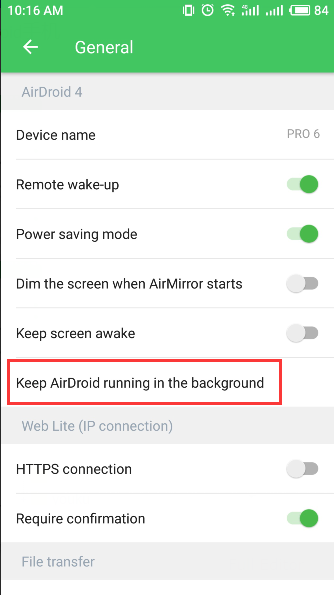 If you don't want to keep AirDroid running on the background, you can open AirDroid on your phone when you download the file from PC.